Salt-less salt. Stop and think about that for a minute. When salt was harvested from the ancient salt sea, the rocks of salt would be gathered with various and sundry other white colored rocks. They would then be placed in a cloth and used during cooking. Over time, the salt would dissolve through the cloth and only the non-water-soluble rocks would remain. Eventually the salt sack would lose its saltiness and be good for nothing more than common road gravel. For those who claim to be followers of Jesus, what does it mean to lose their salt? Dart is absolutely right to connect Jesus’ words in Matthew 5-7 with the ancient Jewish prophets. Jesus came to usher in the age that all the prophets looked forward to. Remember, as we shared last week, the hope of the Hebrew people was not of gaining some Hellenistic postmortem heaven or escaping “Hell.” The Hebrew people looked forward with hope to a time when the Messiah would come and put an end to all injustice, oppression, and violence. The prophets pointed to a time when politics would no longer be dependent upon violence (The lion would lay down with the lamb), economics would no longer be driven by greed (Justice would roll down like a river), and religion would no longer be rooted in fear (You will call me your Husband and no longer your Master). Acts 13.32, 33: “We tell you the good news: What God promised our ancestors he has fulfilled for us, their children, by raising up Jesus”. What I love about that statement is that Brad (and I don’t know whether he does it intentionally or by inspired accident) taps into the three sacrificial systems we have been looking at over the past view weeks: 1) political systems dependent upon violence, 2) economics driven by greed, and 3) religion driven by fear. Go back and reread the quote from Brad presented in the previous paragraph. The prophets (in harmony with Jesus) confronted the Caiaphases (religious leaders), the Pilates (nations and heads of state) and Herods (corporations and their economic power brokers) of their day, announcing that a new age was coming. A new age that has arrived in Jesus. Isaiah 1.12-17: “When you come to appear before me, who has asked this of you</I>, this trampling of my courts? Stop bringing meaningless offerings! Your incense is detestable to me. New Moons, Sabbaths and convocations—I cannot bear your evil assemblies</I>. Your New Moon feasts and your appointed festivals I hate with all my being. They have become a burden to me; I am weary of bearing them. When you spread out your hands in prayer, I will hide my eyes from you; even if you offer many prayers, I will not listen. Your hands are full of blood; wash and make yourselves clean. Take your evil deeds out of my sight! Stop doing wrong, learn to do right! Seek justice [restorative], <I>encourage the oppressed. Defend the cause of the fatherless, plead the case of the widow</I>” (emphasis added). Those who follow Jesus as the culmination of this prophetic tradition must, like the prophets of old, find their own hearts beating for justice for the oppressed, and mercy, rather than sacrifice, expressing itself daily through humble servant love. As the prophets pointed to an age here on Earth that would commence with the coming of the Messiah, we point backwards, if you will, saying Jesus is that Messiah, and the New Age promised by the prophets has already begun! If the prophets tell us anything, they tell us that you cannot authentically listen to God for long without also sensing that justice, mercy, and compassion are central to Him and His Kingdom. And I would be quick to add to that Jersak’s words apply not only prophets, but to all followers of Jesus. What group of people is Jesus placing on your heart this week? Let’s be salt that hasn’t lost its saltiness. I want to ask you do to something special this week. I want you to find some quiet time to simply sit with Jesus and ask Him to share with you about His love for this world. Give Jesus permission to share with you His own grief about the misery and injustice He sees in this world. But when He does, remember, He is not sharing it with you to lay a guilt trip on you. It’s not all about you. Friendship with Jesus must go both ways. Don’t take what He shares in such a way that it will paralyze you with guilt. I want you to feel Jesus’ grief, experience Jesus’ comfort, share Jesus’ hope, and follow Jesus into action. • What aspects of their experience do you find troubling? • What stirs your heart to compassion? 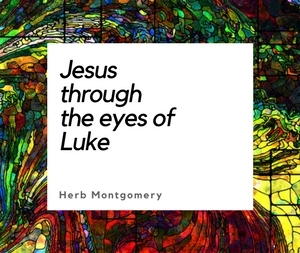 • What does Jesus want to show you about h\His perspective? • How would He have you advocate for them? 2. Journal about who and what Jesus shows you. 3. Share what Jesus shows you with your upcoming HeartGroup this week. This week, pray that Jesus will enable you to take His Mercy teachings, His Justice teachings, and His Peace teachings more seriously. Let our union with Jesus truly be just that. May we join Him in His work, rather than simply inviting Him into our own agendas. We spend so much time asking Him to bless what we are up to; what would happen if we stopped to notice what He is up to in this world? Unless you’re following of Jesus passes through the cleansing water of the Sermon on the Mount, at the very minimum it will be ineffective and, at the worst, it will be the fundamentalist terrorism of zealots. This week, let’s follow Jesus further up and further in. Wherever this finds you, keep living in love as Jesus defines it in Matthew 5-7 until the only world that remains is a world where love reigns. I love you guys, and I’ll see you next week.